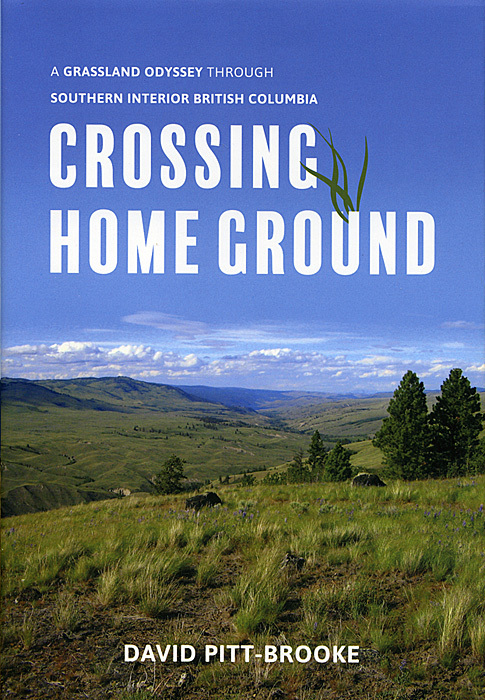 Thursday October 19th 2017, 7 PM at NVIT Lecture Theatre: David Pitt-Brooke – Crossing Home Ground – A Grassland Odyssey Through Southern Interior British Columbia. Author and naturalist, David Pitt-Brooke stepped out for a walk one morning—a very long walk. He covered over a thousand kilometres through the valleys of southern interior British Columbia. He went in search of beauty and lost grace in a landscape that has seen decades of development and upheaval. Based on his recently published book, David will speak about his journey’s experiences, including moments of discovery and re-connection with the natural world. David is an eloquent speaker and his presentation, combined with photographs from his journey and of the nature he encountered, is a real treat. David’s book will be available for purchase at the meeting. He is also the author of another noted book about Canadian wilderness experiences : Chasing Clayoquot – A Wilderness Almanac. Nicola Naturalist Society president Alan Burger regularly works as a naturalist/lecturer on a small ecotourist ship in the Arctic and Antarctic. In this presentation he shares his experiences and photos of wildlife and the environment in the High Arctic north of Norway (Svalbard Archipelago) & East Greenland. 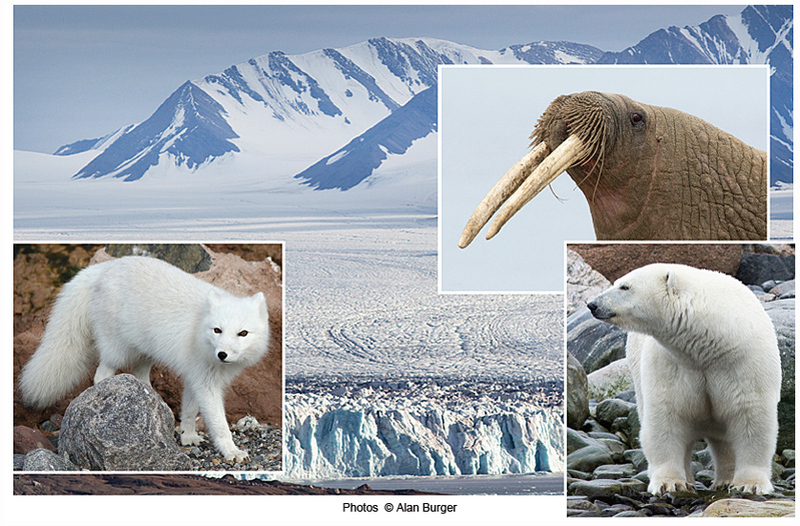 This area supports high densities of Polar Bears, and thriving populations of Walrus, Muskox, Reindeer, Arctic Fox and more. Plus dramatic glaciers & tundra flora. Join Norm for an easy walk starting at the Merritt airport (meet at the airport buildings on the far side of the airport from the Walmart site). Enjoy sagebrush and riverine habitats and some interesting ranching history. 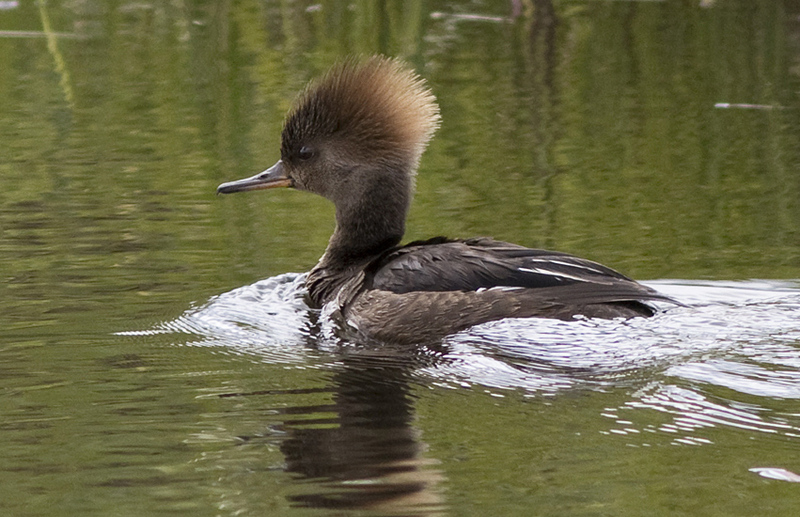 Mystery bird #1 – Female Hooded Merganser – this species breeds in our area but is also found through the winter if there is open water on lakes or large ponds. Mergansers are ducks that are specialized for catching small fish and aquatic insects and have a long, narrow beak with serrations along the inner edges to help hold slippery prey. 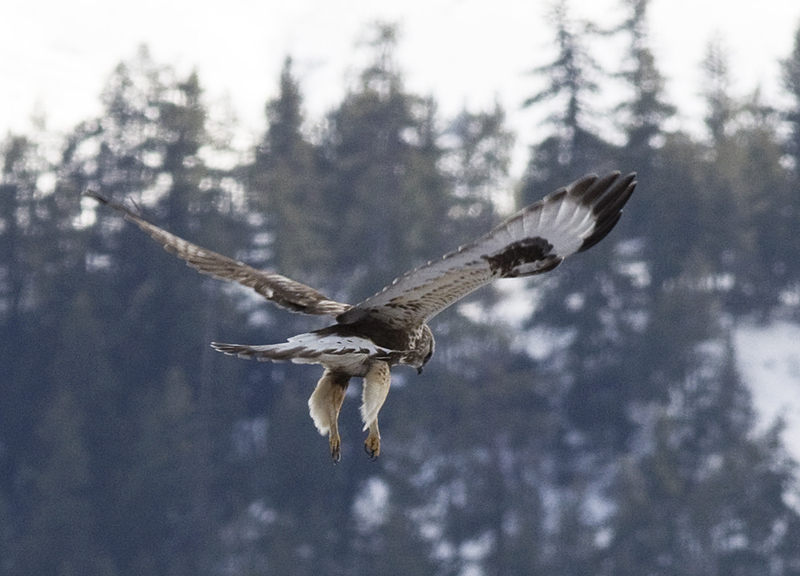 Mystery bird #2 – Rough-legged Hawk. About the same size as the common Red-tailed Hawk, this species breeds on the Arctic tundra and migrates to our area in the winter. The black “wrist” patches on the underwing are the diagnostic feature, along with the barred tail, small head and beak, and feathery legs. Unlike Red-tailed Hawks the Rough-legged often hovers in search or rodent prey, as seen in this photo.